Well folks, welcome back. As you might have noticed, you were greeted with a mighty impressive number to open this week’s installment. The fact that we are up to 50 issues in and still running strong is a testament to you, Halo’s diverse, passionate, and incredible fanbase. 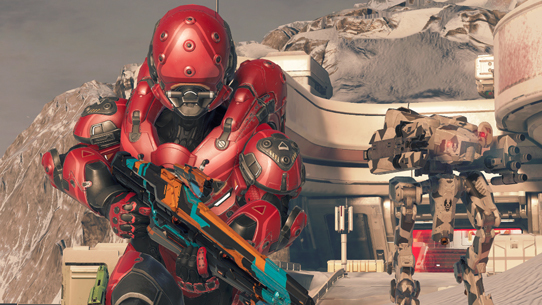 This week begins our first forays into what can be considered spoiler territory for Halo 5: Guardians. 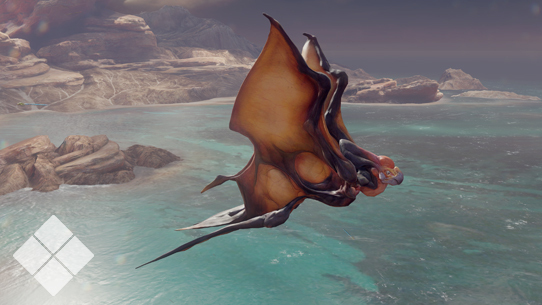 In the coming weeks, we’ll be looking closer at some of the scattered technology seen throughout the campaign and multiplayer playspaces, looking at how the Hunt the Truth Season 2 tied into the connected events of the universe, and yes, we’ll be talking soon about those Sangheili ships you’ve all be clamoring about. Halo 5: Guardians represents a paradigm shift in the state of the Halo universe, all at once turning certain once-standard conventions on their head, while also resonating with echoes of past initiatives and ancient intentions. Needless to say, we have observed a litany of fan speculation regarding a number of different aspects of the story. As we button up the year that has been and look ahead to times still to come, we’re excited to share and experience with you the next steps in Halo’s narrative evolution and journey. To kick us off today, we wanted to give you some particularly insightful perspectives from a creative mind close to the process, so I grabbed Halo 5: Guardians lead writer Brian Reed to get his thoughts on the game experience and how it took shape. Jeff asked me if I’d do “a post-mortem on creating the Halo 5 story” which is practically a topic for a book. But after thinking about it, I thought it might actually serve as a nice window on the world of game development to walk through just one tiny bit of the mountain that is Halo 5. The first thing to know about making a game with the size and scope of a Halo title is that every second of every day, across a team of hundreds, there are decisions being made. And each of those decisions eventually informs or invalidates every other decision being made, sometimes simultaneously. Every polygon, every line of dialog, every texture, every map goes through this same craziness. To illustrate just the tiniest part of this process, let’s look at how we approached developing Fireteam Osiris. If you ever wish to experience madness, get involved in a naming discussion for a massive project. There will be whiteboards covered in candidates, and email threads that go on for days as every person in every department from game design to consumer products has an opinion on why every name is wrong except the one they like. So before anybody or anything gets a real name, we use a lot of code names. That’s why we started Fireteam Kodiak/Artemis/Zodiac with Spartans Smith, Jones, and Brown. The three of them were blank slates. They weren’t even male or female at this stage, they were just Our New Fireteam, and they would help us with the stated goal that Halo 5 was to be a co-op focused game. The first goal for the Narrative team was to figure out who would lead the new fireteam. We started working on the idea that Spartan Smith might have been an ONI agent recruited into Spartans, initially discussing Smith as “the child of James Bond and Lara Croft” because those characters each had traits we wanted our lead to have. Smith was to be the Spartan you sent into impossible places to find targets that didn’t want to be found. This idea led us to the creation of ONI Acquisitions, and we started to think of Smith as a person who was once basically a hitman for ONI, but had recently taken on the mantle of the hero. This gave us a character who had spent their military career making sure you didn’t know who they were, and decided that we’d know them mostly through their actions and the way they spoke to their teammates. Once we loosely knew who our lead was, we started assembling the rest of the team. Even though we didn’t think Majestic as a group fit the mission of Halo 5, we liked Thorne as a character and we wanted him involved. His way of looking at the world as a potentially good place would pair nicely with Spartan Smith’s more cynical “every target is just another target.” Thorne would also serve as a Spartan the fans would know from a previous product and would lend the new kids on the block an air of legitimacy. We liked Palmer too, and toyed with the idea of her deploying on this mission alongside Smith instead of Thorne. Then we thought maybe they’d both be on the team. For a few weeks we had Smith, Thorne, Palmer, and Spartan Jones (who would be a Spartan fluent in alien languages). As we put the story on its feet, we began fleshing out the characters, and got to know our fireteam pretty well. Spartan Jones became Spartan Vesper (in part because nobody could keep the names Smith and Jones straight), but she was proving to be too “kid genius,” so we worked on maturing her voice a bit while still retaining enough of her innocence that she could marvel at Sangheili ruins or ask Smith why he would help a man he was once planning to assassinate. The first big and permanent change to the team came when we hit on the idea of Meridian being a glassed planet outside of the UNSC’s jurisdiction. We wanted someone who could act as our window into that world, and replaced Palmer (who was needed elsewhere in the Halo 5 story anyway) with Spartan Song. Her history started as “grew up outside the UNSC” and came to include her surviving the glassing of her home world. At this point we were months and months into development, and Thorne was working quite nicely with the group since his personality matched nicely with the other Spartans. He’d hunted and killed like Smith, seen loss like Song, and had a certain wonder at the galaxy like Vesper. Since everything was going so well, we shouldn’t have been surprised when the scheduling gods saw fit to throw us a curve. Ethan Peck, the actor who plays Thorne, was unavailable due to a conflicting project, and we really didn’t want to have his face with a different actor’s voice after we’d gotten to know Thorne so well in Halo 4. With Thorne out of Osiris, we discussed what personality would fit best with the rest of the team. We talked about a whole new Spartan, but we still wanted someone established. We toyed with the possibility of a member of Blue Team, but it never felt right. Someone jokingly suggested we use Buck since his jovial attitude would work well as a counterpoint to Smith’s all-business personality, he’d be able to get Song to open up about her past, and the difference in character’s ages meant he’d get to have a sort of kid sister thing with Vesper. The fact that Buck was a fan favorite and promoting him to Spartan would be exciting both worked to get us pretty excited about the idea. But I say “jokingly suggested” because it was never going to happen, right? There was no way Nathan Fillion had the time with his work on a little hit TV show called Castle... yet by some series of scheduling miracles I still don’t fully understand, he did. As we moved into casting actors and recording dialog, we settled on our final character names. Smith became Locke, Vesper and Song became Vale and Tanaka, their characters continued to mature, and Fireteam Osiris as you know them began to take shape. So back to that thing I said at the beginning about decisions. This has been a lighting fast 1000-ish word version of 2+ years of craziness. And that’s just for those four characters. Now extrapolate that out across the game and multiply by infinity. Literally every facet of every piece of Halo is touched by hundreds of developers. There’s a handful of us that get to make decisions on what makes the cut and what doesn’t, but the truth is we have an army at our backs. It’s an amazing team to be part of, and a privilege. To all of you outside of the halls of 343 who are reading this, thanks for joining us on this adventure, as well as those yet to come. 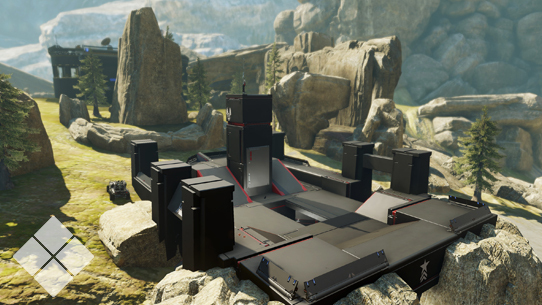 Very soon we’ll be dropping the first sustain salvo for Halo 5: Guardians, and among the new modes, maps, and skins contained in the “Battle of Shadow and Light” update will be some delicious new armor to try and snag in your upcoming REQ pack opening extravaganzas. While we’ve dropped a couple of subtle hints along the way, we thought it would be nice to give you the lore love you long for. Let’s scope out the story-skinny behind SHINOBI and TRACER. Discovered aboard a derelict freighter in Lacaille 9352, SHINOBI armor has no known manufacturer or intended user. 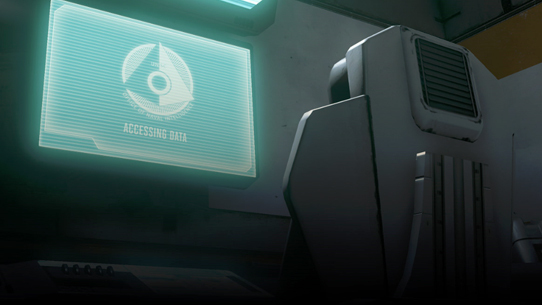 ONI continues to probe the recovered suits to unlock what appears to be several levels of restricted functionality. SHINOBI’s core systems remain cryptic "black boxes" to UNSC analysts, despite ONI's successes in integrating the SHINOBI helmet with standard GEN2 Mjolnir techsuits and Spartan neural interfaces. Though aware of the inherent risks involved, ONI has authorized limited testing of the SHINOBI armor for a select few classified S-IV operatives. TRACER-class armor combines features of other field intelligence data collection Mjolnir variants into a new and integrated package. The TRACER helmet features a Tier-III datacore, the first portable example of such a high-end computational system, and a significant upgrade over that found in earlier baseline GEN2. Additionally, Chalbys boasts that the TRACER has most of the operational capabilities of both the ENGINEER and TRACKER suits. Ch00path1ng4: What was the name of the Marathon-class cruiser destroyed by the Day of Jubilation during John-117's EVA excursion to return the bomb during the Battle of Earth? 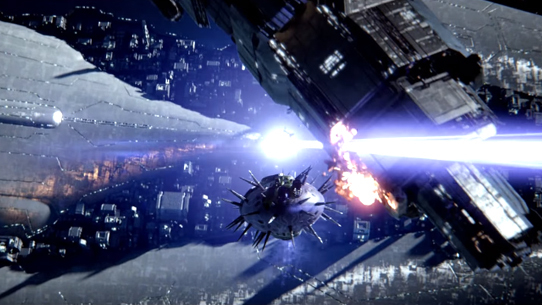 A: The UNSC Feeling Lucky fought valiantly as part of the UNSC Navy’s Fifth Fleet at the Battle for Earth. FordFalcon1997: How did Jul 'Mdama lose control over the Didact's Prometheans as of Halo 5? EightWalk326413: A – Will we ever get to see the DECIMATOR-class Mjolnir in Halo 5? 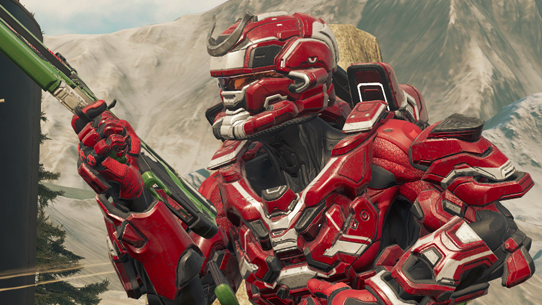 B – Is the SPI armor still in use among Spartan IIIs, or has it been completely replaced by GEN2 MJOLNIR armor? B –While SPI has been mostly phased out of use by Spartan-III operatives, some of the photoreactive plating technology has seen limited but successful use in several spec-ops ODST units. Sora Vran Rumil: What is the name of the commander who lead the Covenant at the Battle of Sunaion? 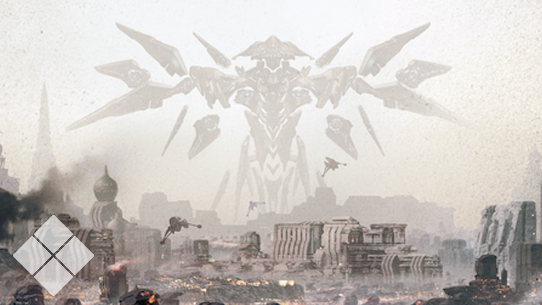 A: While the Battle of Sunaion was led by several various undisclosed Covenant commanders, one Sangheili general who can be identified is Kitun 'Arach, who by some accounts was rumored to have stormed the hill on Kamchatka aided by an unlikely – albeit temporary – alliance with Fireteam Osiris. While certainly intriguing given the possible implications, these particular reports cannot be confirmed. So normally at the end of each issue of Canon Fodder we highlight the latest new and/or updated articles to populate the Universe encyclopedia function on Halo Waypoint and the Halo Channel. This week we thought we might do just a bit more, so in addition to our normal lore load we’re also excited to introduce you to a brand new section of the Universe encyclopedia: ONI FILES. Many Halo fans have long adored this franchise’s tradition of doling out lore morsels dolloped throughout scattered data drops and disclosed documents. While much fun has been had over the years by fans finding these gems hidden throughout everything from forum posts to game manuals to map reveals, it can make things a bit hard to keep track of sometimes. With that in mind, we wanted to create a place where new fans can make old discoveries and old fans can make new speculation, all in one handy location. Within the ONI FILES section, you’ll find all sorts of story-supporting sweetness, from the Halo 3 Terminals to the Eleventh Hour Reports, some even featuring some enhanced formatting to help make the narrative a bit more digestible. We certainly hope you enjoy digging through the information as much as we enjoyed collecting it! Continue to keep an eye on the new area as well, as we'll be adding more documents from time to time. Some you may have already seen, while others... perhaps not so much. I’m pretty sure the eighth day of creation was reserved for the angelic souls that make up our fabulous Consumer Products department, as it’s always a fun time when they descend upon us from their heavenly upstairs abode to grace us with gifts and good tidings. It’s even more delightful when the opportunity presents itself for us to share those gifts with the Halo community, and in honor of Canon Fodder’s 50th, we have a few things we’d like to share. Up for celebratory grabs are copies of Halo 5: Guardians, Halo 5: Guardians OST on vinyl, Halo: Hunters in the Dark signed by some of the word-weaving story crew here at 343 Industries, and someawesome Halo MegaBloks sets. To enter for a chance to win, all you need to do is tweet me @GrimBrotherOne with the hashtag #CanonFodder and let us know your favorite aspect of the Halo fiction. Winners will be randomly drawn and announced in next week’s issue; who knows, maybe I’ll convince Catalog to pull names from the hat. For an extra chance to enter, simply post in this issue’s discussion thread linked down below. Good luck! Until next week… Live well, play Halo, and here’s to another fifty! 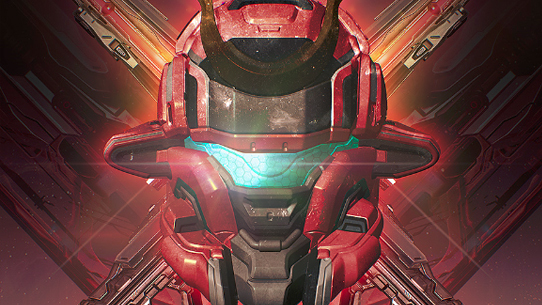 The brainchild of Dr. Halsey, MJOLNIR powered assault armor is has become the legendary combat counterpart to the Spartan program. Argent Moon was an ONI-controlled research facility where unauthorized and potentially dangerous biological testing was allegedly carried out. Capable of leveling enemy defenses and subduing entrenched fortifications in mere seconds, the Kraken is the most powerful siege engine utilized by the Covenant. This week in Canon Fodder we cover a smattering of Halo lore topics and add even more to the Universe. 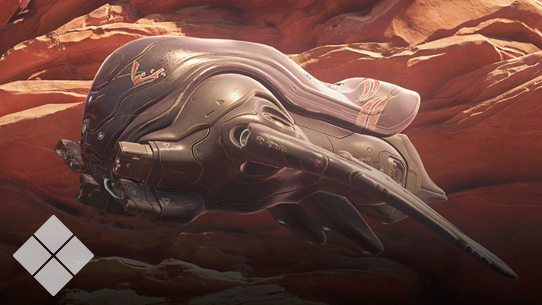 This week in Canon Fodder, we take a closer look at some campaign critters in Halo 5: Guardians.